Google has released a new Transparency Report outlining censorship levels around the world. The report details how the US government asked Google for user information 4,287 times in the first six months of this year, while the UK government issued 1,000 similar requests to the search giant over the same period. Google's new maps and tools allow users to check on an individual country to see how many of these removal requests were either completely or partly complied with by the company. Google has also included a traffic graph which shows its services around the world, along with details on traffic outages caused by individual governments blocking access. 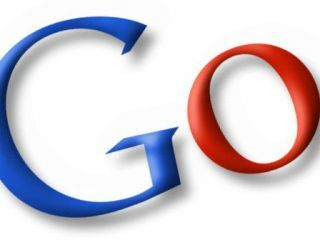 Google's public policy head Scott Rubin said of the initiative: "Last year after the Iranian elections access to the internet was cut off and we saw a sudden drop in traffic to YouTube." Civil liberty groups have applauded the move, although want Google to go even further and provide more detailed data on the nature of government take-down request. "I think it is a tremendous initiative and it would be helpful if other networks could do the same thing," said law professor and Open Rights Group representative Lilian Edwards. "I think there will be some embarrassing data and it will vary from country to country. The UK is neither the best or the worst," she said. "It would be interesting to see whether these take-downs refer to libel, surveillance and intercepts or the content industries. The more data we have the more useful it will be. "It would, for example, be interesting to compare Google's data with published UK surveillance requests." David Drummond, Google's chief legal officer notes on the Google blog: "When Google's services are blocked or filtered, we can't serve our users effectively. That's why we act every day to maximize free expression and access to information. "Free expression is one of our core values. We believe that more information means more choice, more freedom and ultimately more power for the individual." Interestingly, data on information requests from China is not contained in the current Transparency Report. "Chinese officials consider censorship demands to be state secrets so we cannot disclose that information at this time," explained Google.